In June 2018 Central Oregon Truck Company introduced the industry changing, Weekly Truck Driver Salary Pay. The simplest and highest paying driver pay program in trucking. COTC has been a leader in truck driver programs for years. The Weekly Truck Driver Salary Pay program is another example COTC leading in truck driver programs and doing what is right for drivers. Across the trucking industry drivers have complained about low wages, sitting, surprise deductions, not being paid until paperwork is received by the office, the list goes on. Not any more. Not at Central Oregon Truck Company. We have listened. We pay you a weekly salary! Our goal is to provide each and every COTC driver with the peace of mind of knowing exactly what they will make each week. Plus, providing each driver with a reliable net take home of $1,000 each week and a no fee per diem program. We are a production oriented company that averages over 120,000 miles a year, up to 150,000 for a solo driver. We want COTC drivers to be the highest paid in the industry! It is a significant pay increase that now absolutely puts us at top of the market. 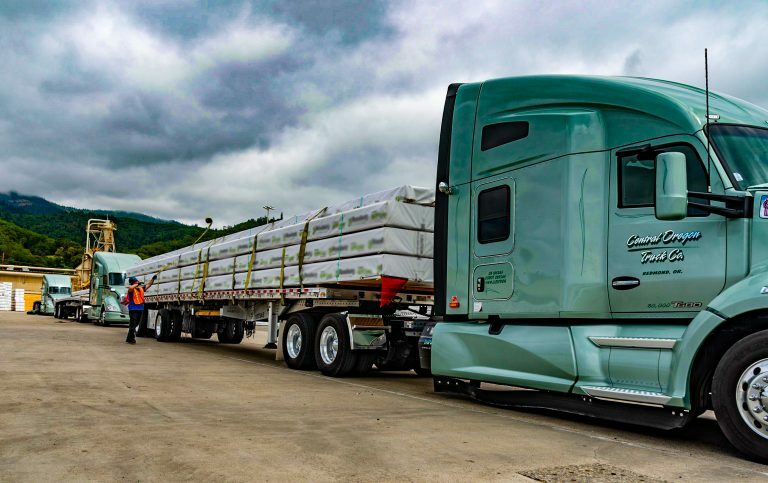 Not just in flatbed, but in all of the trucking industry. The pay change includes Semi OTR and Regional, Quad PNW Regional, and creates a Team pay. The goal was to simplify so that a driver would know exactly what his or her check is each week the minute the payroll cut-off hit. Now, all our drivers have to do is track their miles. With the new pay package every COTC driver will receive a significant raise in 2018. COTC solo drivers will earn between $1,200 to $2,000 gross each week. Annually, the weekly pay equals a starting salary of $65,000 for a Solo Semi OTR or Regional truck driver to well over $85,000. New to COTC is team pay. Team drivers will earn $2,350 to $3,345 gross each week, for an annual salary between $122,000 to $173,000. The new pay is only the beginning of what COTC provides for it’s driving team! Learn More about driver pay and benefits and about our partnership with Washington Federal for home loans.